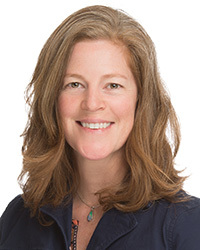 Mary Zadnik, ScD, MEd, OTR/L, is an assistant professor and program director for the entry-level Occupational Therapy programs on the Austin campus. She formerly served as an assistant scientist at John Hopkins Bloomberg School of Public Health in Baltimore and an adjunct professor at Towson University in Maryland. She is an experienced clinician and researcher who has served in occupational therapist positions at the National Institutes of Health in Bethesda, Maryland, Union Memorial Hospital in Baltimore, the University of Maryland Medical Center, and Hanover Hospital in Pennsylvania. She also previously served as clinical research supervisor for the University of Maryland Medical Center’s orthopedic trauma surgery department. Dr. Zadnik has served as project director for several U.S. Department of Defense research grants, most recently for a study addressing the challenges of recovering from major extremity trauma through the Major Extremity Trauma Research Consortium (METRC), and a trial testing the effectiveness of an antibiotic sleeve in the reduction of surgical wound infection for orthopedic musculoskeletal trauma to the lower legs. She also worked with the Patient Response to an Integrated Orthotic and Rehabilitation Initiative for Traumatic Injuries (PRIORITI) – Military Treatment Facilities (MTF) study to assist in the production of explanatory videos and a website for IDEO, a new orthosis or brace for the lower leg. Dr. Zadnik has published research in the Journal of Rehabilitation Psychology, the Journal of Trauma and Acute Care Surgery, and the Journal of Surgical Orthopaedic Advances. She has presented research at professional conferences, including the Orthopedic Trauma Association Annual Meeting and the American Academy of Orthopaedic Surgeons Annual Meeting. Her current research is focused on evaluating program implementation and dissemination for injury programs in trauma facilities and using technology to enhance independence with medication adherence with the prison population as they transition from inmates to parolees.